Meet Ed Kennedy—underage cabdriver, pathetic cardplayer, and useless at romance. He lives in a shack with his coffee-­addicted dog, the Doorman, and he’s hopelessly in love with his best friend, Audrey. His life is one of peaceful routine and incompetence, until he inadvertently stops a bank robbery. That’s when the first Ace arrives. That’s when Ed becomes the messenger. . . . Chosen to care, he makes his way through town helping and hurting (when necessary), until only one question remains: Who’s behind Ed’s mission? Winner of the 2003 Children’s Book Council Book of the Year Award in Australia, I Am the Messenger is a cryptic journey filled with laughter, fists, and love. From the Hardcover edition. Two powerful modern classics from #1 New York Times bestselling author Markus Zusak. The Book Thief affirms the ability of books to feed the soul even in the bleakest of times in a story the New York Times described as “brilliant. . . . the kind of book that can be life-­changing.­” I Am the Messenger is a cryptic journey filled with laughter, fists, and love, which School Library Journal called “unpretentious, well conceived, and appropriately raw” in a starred review. Markus Zusak is the recipient of the Margaret A. Edwards Award for his significant and lasting contribution to writing for teens, and together, these two stories form an extraordinary collection to showcase the intensity and heart inherent in his storytelling. protect the diamonds survive the clubs dig deep through the spades feel the hearts Ed Kennedy is an underage cabdriver without much of a future. He's pathetic at playing cards, hopelessly in love with his best friend, Audrey, and utterly devoted to his coffee-­drinking dog, the Doorman. His life is one of peaceful routine and incompetence until he inadvertently stops a bank robbery. That's when the first ace arrives in the mail. That's when Ed becomes the messenger. Chosen to care, he makes his way through town helping and hurting (when necessary) until only one question remains: Who's behind Ed's mission? 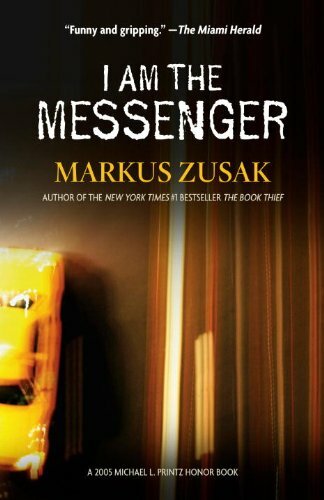 A 2005 Michael L. Printz Honor Book and recipient of five starred reviews, I Am the Messenger is a cryptic journey filled with laughter, fists, and love by the author of the extraordinary international bestseller The Book Thief . 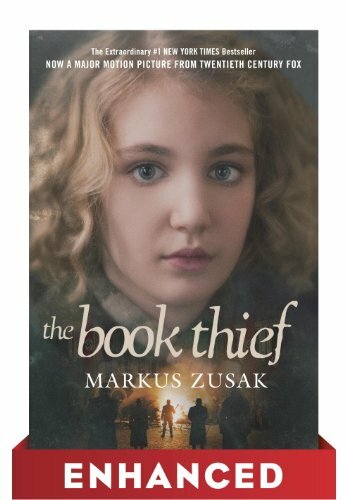 From the bestselling author of THE BOOK THIEF Before THE BOOK THIEF, Markus Zusak wrote a trilogy of novels about the Wolfe Brothers: THE UNDERDOG, FIGHTING RUBEN WOLFE, and GETTING THE GIRL. Cameron and Ruben Wolfe are champions at getting into fights, coming up with half-­baked schemes, and generally disappointing girls, their parents, and their much more motivated older siblings. They're intensely loyal to each other, brothers at their best and at their very worst. But when Cameron falls head over heels for Ruben's girlfriend, the strength of their bond is tested to its breaking point. We're proud to present these novels together for the first time, and to be introducing American readers to THE UNDERDOG, never before published in the United States. 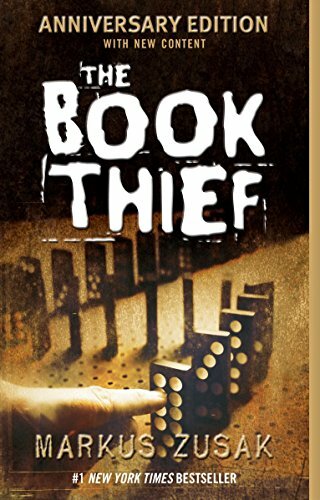 Fans of THE BOOK THIEF won't want to miss reading the novels that launched Markus Zusak's stellar career. A New York Times bestseller for seven years running that's coming to movie theaters on November 15, 2013, this Printz Honor book by the author of I Am the Messenger is an unforgettable tale about the ability of books to feed the soul.­Set during World War II in Germany, Markus Zusak’s groundbreaking novel is the story of Liesel Meminger, a foster girl living outside of Munich. Liesel scratches out a meager existence for herself by stealing when she encounters something she can’t resist–books. With the help of her accordion-­playing foster father, she learns to read and shares her stolen books with her neighbors during bombing raids as well as with the Jewish man hidden in her basement before he is marched to Dachau. The country is holding its breath. Death has never been busier, and will become busier still.­This book has been selected as a Common Core State Standards Text Exemplar (Grades 9-­10, Stories) in Appendix B.­From the Hardcover edition.­From School Library JournalStarred . . .
A New York Times No.­1 Bestseller and with a major global film release in 2014, this ebook is enhanced with film clips and interviews with the actors from the movie as well as a Q&A with the author - a must for book lovers and movie goers alike. Videos may not play on all readers. Please check your device manual for details. It is 1939. In Nazi Germany, the country is holding its breath. Death has never been busier - and will become busier still. By her brother's graveside, Liesel's life is changed forever when she picks up a single object, abandoned in the snow. It is The Gravedigger's Handbook, and this is her first act of book thievery. 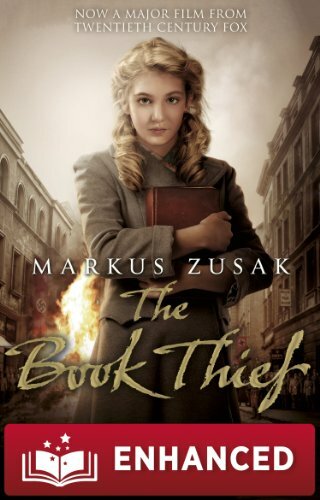 So begins Liesel's love affair with books and words, and soon she is stealing from Nazi book-­burnings, the mayor's wife's library . . . wherever there are books to be found. But these are dangerous times, and when Liesel's foster family hides a Jew in their basement, nothing will ever be the same again. In superbly crafted writing that . . .